Your nonprofit newsletter is a great way to provide supporters with updates, get the word out about events, and ask for continued monetary support… but if it isn’t put together in an appealing way, readers might not stay engaged and you’ll lose them! Want to make your next newsletter your best ever? Here are some tips! Find an email provider that makes it easy! There are tons of programs that provide easy-to-create and update templates. We use Campaign Monitor here at Qgiv. 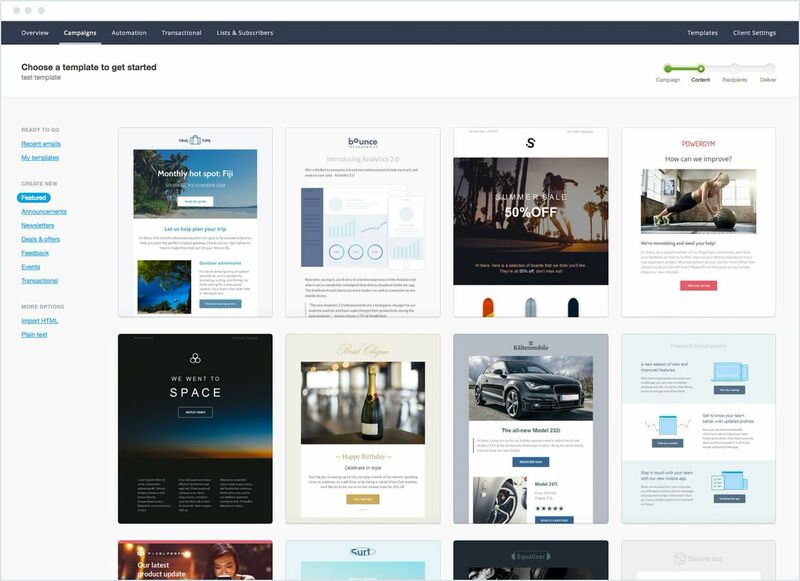 They provide quite a few templates that you can just plug content right into, or you can design your own. Did you know we have integrations with some of the most popular email services? You can export Qgiv transaction data to MailChimp, Campaign Monitor, Constant Contact, Klaviyo, and Emma! Develop a few layout templates to rotate through. You’ll save a ton of time, and your newsletter will look fresh each month. Keep the important stuff in the same spot—like a summary of content and a donate button along the top. Use tools like Canva to create eye-catching images with text overlays. Images immediately draw the reader’s eye, so they’re far more likely to read a call to action placed on an image than one that is written out in text without an image. 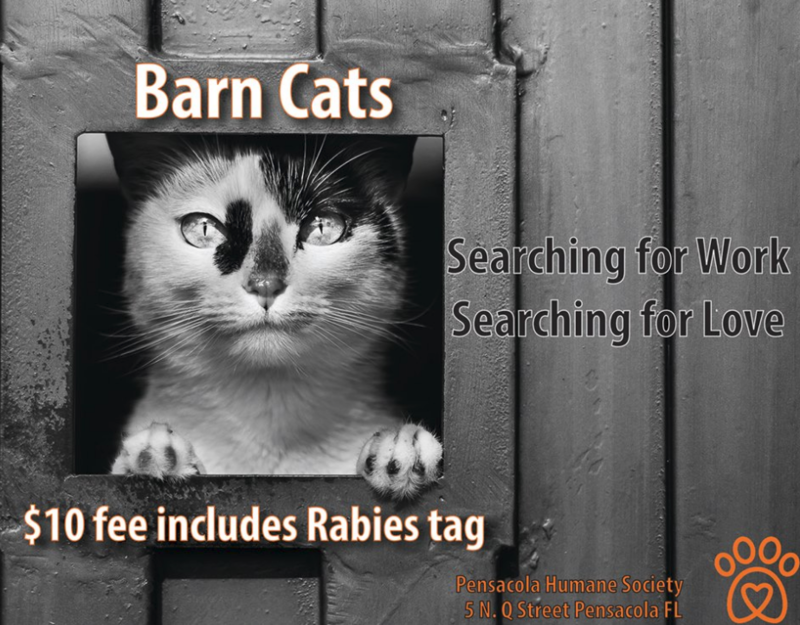 Here’s an example from the Pensacola Humane Society. Know what’s important to your audience and only include relevant content. You’re most likely talking to your donors, so provide updates, events, impact stories, needs, and thank-yous. Integrate a donate button that links to your online donation form. It’s also a good idea to have an easy-to-read summary of the content. Here’s a great example from Mercy Ships that includes a brightly-colored donate button right at the top. Keep it short and sweet! Your written content should be made up of short paragraphs with catchy headlines and text that’s easy to scan. Make your subject lines short and catchy! Keep in mind that a lot of people will be viewing this on a mobile phone, so short subject lines are key—aim for 50 characters or less. Speaking of mobile… send yourself a test. Make sure the entire newsletter looks good on a mobile device! 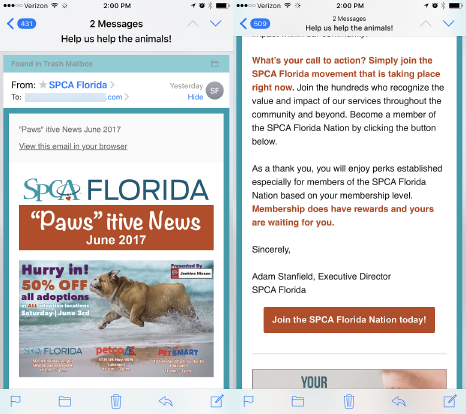 SPCA Florida’s newsletter looks great on my iPhone when I receive it every month. Include high-quality images (and even videos)! Camera phones have come a long way, so it’s easy to take your own photos that look professional. You can include video by taking a screenshot of the opening frame of a video on YouTube/Vimeo/etc., and then linking to it in your newsletter. 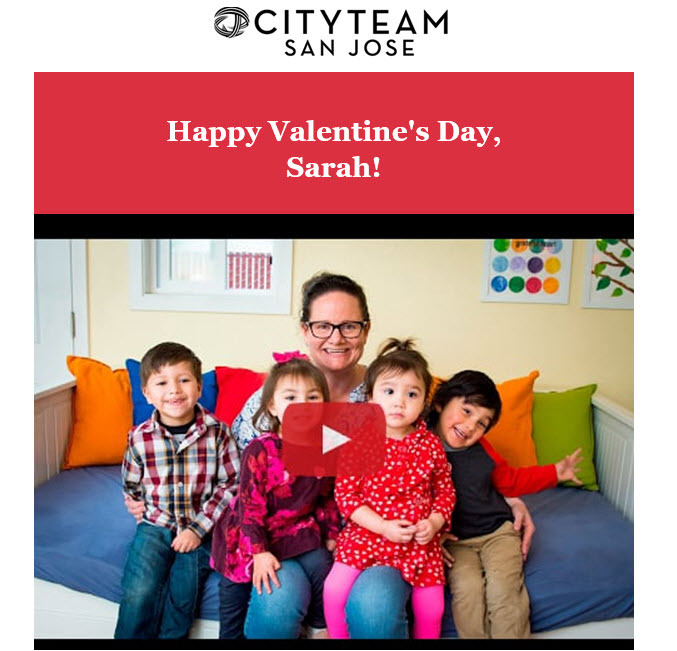 Here’s what Cityteam did in an email—clicking the screenshot took me straight to YouTube to view an awesome thank-you video. For the love of all that is good… PROOFREAD! Your newsletter could be someone’s first impression of your organization. If you’re sloppy with your communications, how can potential donors be sure you’re going to treat their personal information with care? Always include an unsubscribe button! It’s required by law. Most email services include one automatically, so you should be set!